BISHKEK -- The five foreign ministers of Central Asia are scheduled to meet in Kyrgyzstan Friday-Sunday (July 20-22) to discuss regional and international issues and efforts to potentially implement co-operation agreements. 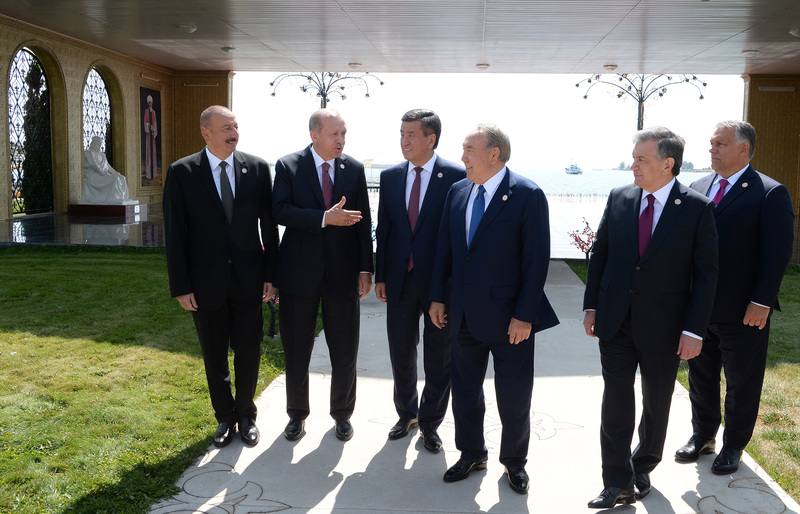 The top diplomats of Kazakhstan, Kyrgyzstan, Tajikistan, Turkmenistan and Uzbekistan will meet in Cholpon-Ata, Issyk-Kul Province, the Uzbek Foreign Ministry said in a statement July 16. They will discuss current events as well as the implementation of agreements reached during a previous meeting of Central Asian heads of state March 15 in Astana. That closed-door meeting was aimed at solving regional problems such as border disputes, trade, water and tourism, although the decisions reached were not announced. Central Asian foreign ministers also met on July 6 in Astana, where they celebrated the 20th anniversary of Astana's designation as capital of Kazakhstan. The ministers toured new architectural sites in Astana and the grounds of the International Specialised Exhibition EXPO, the location of the newly inaugurated Astana International Financial Centrе. With each official meeting, Central Asian states are taking another step toward deepening regional co-operation, observers say. "We see real achievements in relationships among countries," Talgat Ismagambetov, a political scientist from Almaty, told Caravanserai. "For example, Uzbekistan has facilitated transportation with Kazakhstan and Kyrgyzstan -- there are now buses and trains going between them." "Tashkent and Dushanbe have made visa procedures simpler between them, expanding the length of time that citizens may stay [in the other country] without a visa to 30 days," he said. "Trade among the countries has become more active with the opening of Uzbekistan's border." "The tendency to deepen co-operation is apparent," Ismagambetov said, adding that he believes that the most important thing to do is to put agreements into practice. The Central Asian states, during the upcoming meeting in Cholpon-Ata, likely will review and co-ordinate their strategies for 2019, said Edil Osmonbetov, a scholar of international affairs from Bishkek. Next year will be critical for the region, he told Caravanserai. Kyrgyzstan will take over the rotating leadership of the Shanghai Co-operation Organisation, which presently has a Tajik secretary-general. Meanwhile, Kazakhstan will be concluding its two-year term on the UN Security Council. "This is a unique opportunity for the countries of Central Asia to become a geopolitical player," he said. Central Asia is changing without the manipulation of outside players and in the future may become an independent geopolitical region, he added.